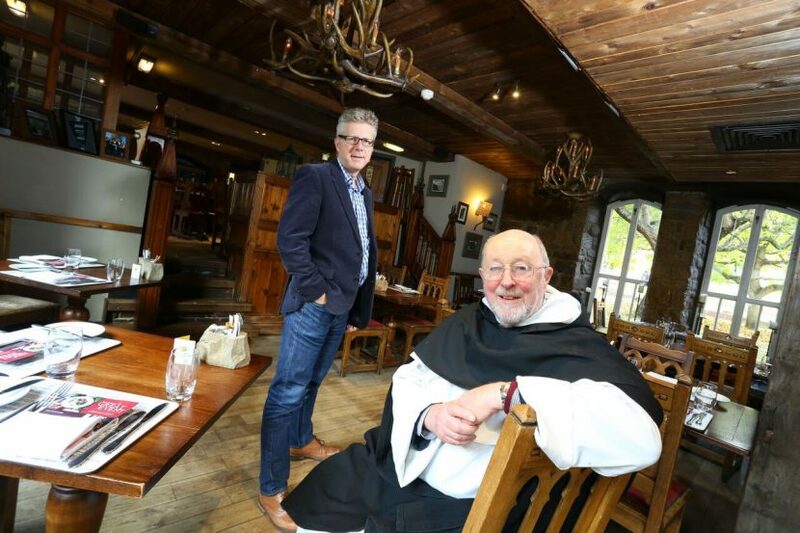 The owner of a restaurant and banquet hall housed within a former medieval friary in Newcastle is celebrating the 800th anniversary of the Dominican Order which resulted in the ‘Black Friars’ settling in Newcastle as he plans the next chapter in the building’s history. Andy Hook, who has been running Blackfriars Restaurant, Banquet Hall and Workshop for the past 15 years, will shortly be making some major changes including a refurbishment of the restaurant and expanding into some currently unused areas of the historic building including the Parlour and rooms above the restaurant which were the former libraries for the friars. The Dominican Order, which was set up by the Spanish priest Saint Dominic de Guzman in France, was approved by Pope Honorius III on 22 December 1216. They arrived in the UK in 1221 and settled in Newcastle in 1239, wearing white tunics and black cloaks, which gives rise to their name ‘Black Friars’. In 2001 Andy Hook spotted potential in the property and turned the original refectory into one of the leading restaurants in the region. He spent a number of years researching the history of Blackfriars, working with Durham University’s Institute of Medieval and Early Modern Studies and renovated the former Guest Hall to recreate an authentic medieval dining space. Over the coming months the team is planning some ambitious changes to bring the empty buildings back to life. This will include a refurbishment of the dining room, re-instating the Parlour next door, taking over the rooms above the restaurant and opening up a larger Workshop, as well as the Tanners Guild Tasting Rooms where visitors will sit on antique 19th century seating, once used by the Tanners Guild. The Smiths Hall above the restaurant will remain as part of a public exhibition.